APPLE VALLEY — Kindergartner Mia McLane’s daily to-do list includes going to school, singing Disney songs and changing the world. On Friday, Mia and her family delivered a carload of “Mia’s Boxes of Love” to a local nonprofit organization, which helps those in need. The shelter, now known as the Family Assistance Program, has been providing shelter and advocacy services to victims of domestic violence. Mia’s letter also shares her desire to give food to the homeless while her mother gives them money. Mia ends her letter with the wish for all homeless people to stop smoking so they don’t die. Clayton said Mia’s inspiration to change the world came from watching the Hub Network’s “Kid President” show, hosted by 10-year-old, suiting-wearing Robby Novak, whose rise to fame came through his popular YouTube videos. During the show, Novak’s positive message to his young audience is to go out and change the world in their own special way. Clayton said Mia’s first step toward the gift box project came when she placed some toys into a box and handed it to her mother, Amanda McClane. Clayton said Mia’s energy and determination comes from her mother, McClane. Clayton said Mia’s little brother, Griffin, 2, and her grandmother, Joyce McClane, were also on hand during the box delivery. 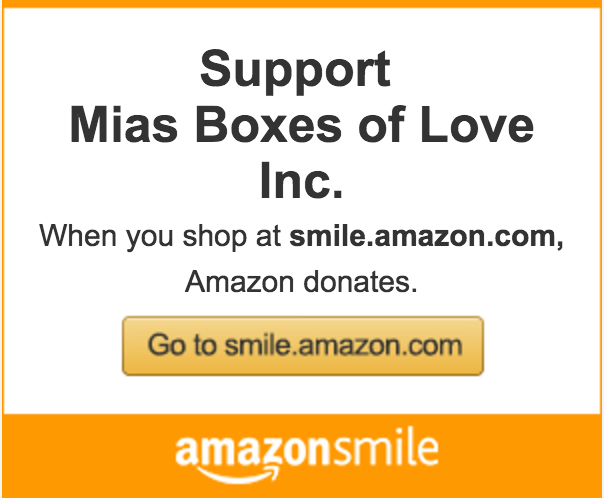 For more information or to donate, visit http://www.fundly.com/mia-s-boxes-of-love or search ‘Mia’s Boxes of Love’ on Facebook.